3D printing enthusiasts all over the world are trying to find new ways to apply the technology. 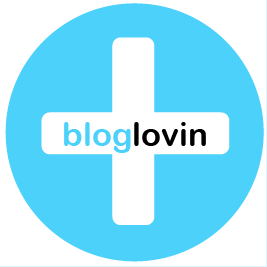 Lots of new applications appear almost every day on both personal and professional levels. 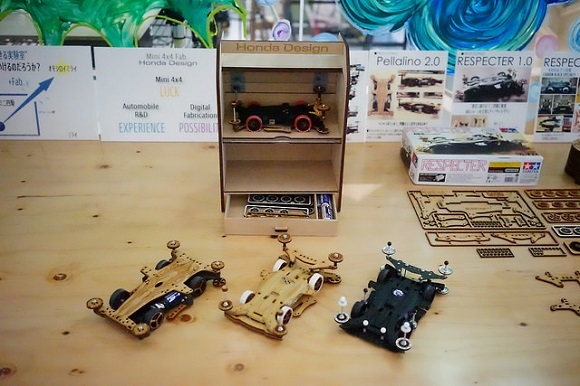 All this also influenced Japan where 4WD racing (4 wheel drive racing) – one of the most popular hobbies – is being changed with the help of new possibilities that 3D printing suggests. That’s was one could observe during a fun event in Tokyo on Sunday, August 31, which was organized by FabCafe Shibuya. 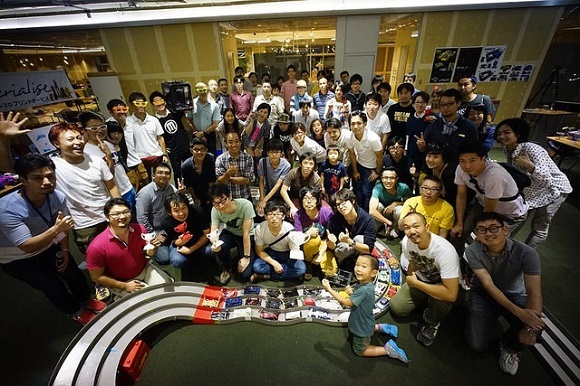 Available to enthusiasts of all ages, they prepared a mini 4WD competition at Kashiwanoha KOIL building – an innovative laboratory situated in the center of Tokyo. 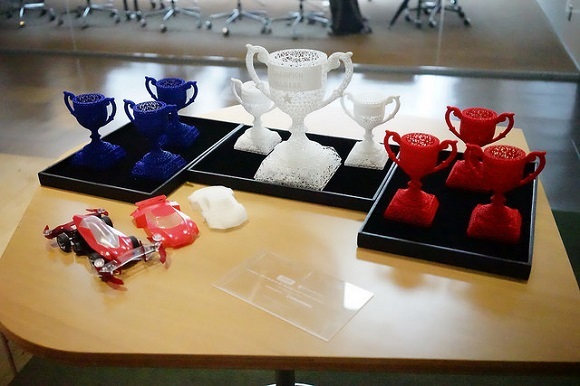 All in all there were more than 60 4WD fans of all ages and occupations – professional car designers, children, parents – to take part in mini-car races and try to win a 3D printed trophy created by i.materialise and printed in polyamide. The race went on all day long. And finally after three extremely hard competitions the Honda Design team turned out to be victorious and attained the title of Grand Champion. 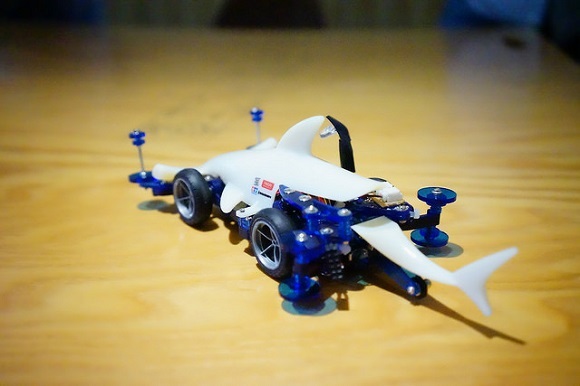 These small 4 wheel drive racing cars are battery-powered. They’ve been popular all over Japan since the 1980s. Fixing mechanics and altering and decorating their tires, wheels and bumpers has always been with many generations. 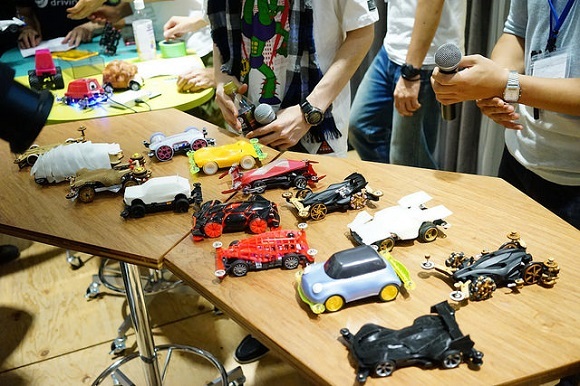 In contrast to popular with Americans ‘slot cars’, ‘Mini Yonku’ cars can drive a track using a remote control. Dealing with mini yonku is the essential part of everybody’s childhood, that’s why such competitions have become so popular. Because of their size and such a great amount of plastic constituents, such Mini Younku can easily be created or altered using a 3D printer, laser cutting and CAD software. No wonder why so many participants use 3D printing trying to make their cars as light, quick and cool as possible. As you can see in the picture the most peculiar entry was designed by Statasys company team. 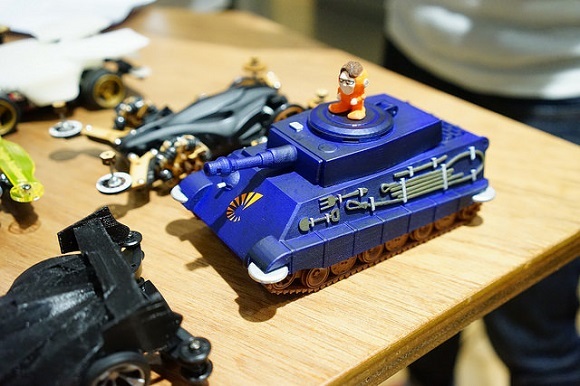 It had a 3D printed tank having a small statuette of their chief executive on the top. Probably they paid less attention to speed on order to attract more attention. A star-like car was a striking contrast to that entry. It was created as efficient and quick as possible. As there were so different types of customization, organizers of the contest prepared three different competitions – one for each peculiar type. That’s how children managed to experience joy and delight. 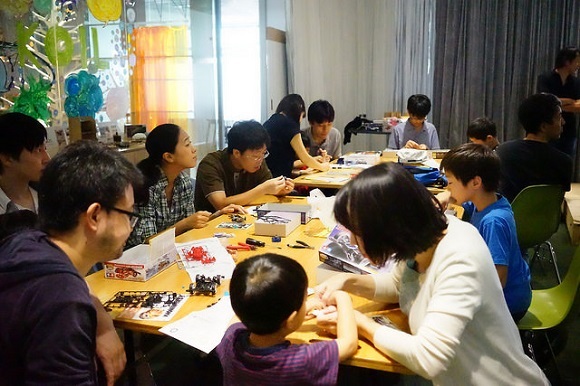 They could also get some experience joining a 3D printing and customization workshop. That is the way for almost everyone to produce 3D printed trophies. FabCafe Shibuya is a perfect example of how to make 3D printing and laser cutting more popular and profitable for a company. Their business began in 2002 in Shibuya, Tokyo. The makers café was a famous place where people could get inspiration and company in addition to coffee. That was also the place to try using laser cutting and 3D printers.